Q/A: Do I Have to Accept Any New Patient? Question: Is it legal for us to not allow a patient to be seen in our office if their parents have bad debt with us? Q/A: Is it Legal to Shred Archived Patient Records After a Certain Amount of Time? Shredding patient records. When is it appropriate? Read more to find out. There are several exceptions to the Medicare "Mandatory Claim Submission Rule." What are they? Q/A: How Do I Respond to a Patient's Request to Not Submit the Claim to Their Insurance? A number of patients now have high deductible plans. Sometimes, deductibles can be $5000 or $10,000. My payer contract states that I must submit all claims to insurance for covered services. However, sometimes patients with these high deductibles come to my office and state that they would prefer to receive a modest discount for paying cash and in turn, not have their services submitted to insurance. As a doctor, this places me in a tough situation. Do I follow the patient's wishes or the payer contract? Q/A: Someone Broke into My Office. What do I do Now? My office was broken into last night. I use electronic health records, but we do store some protected health information for my patients in paper files. These files are not secured, so the burglars did have access to them. It did not appear that the files were touched as the burglars were looking for cash. What responsibilities to I have to my patients in a situation like this? Do I need to contact them and advise them that their PHI could have been compromised? HIPAA Breach Settlements and Ransomware Attacks - Is Your Practice Secure? Are Your Computers Vulnerable to Cyber Attacks? HIPAA and the Opioid Crisis guidance released by HHS. Cybersecurity - Are you sure you are secure? 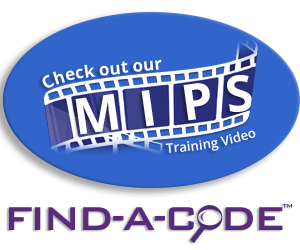 HIPAA Training must be an ongoing effort in every healthcare organization. Security Risk Assessment Wizard - are you at risk?